Metalcaucho has been creating spare parts and rubber and metal accessories for the automotive industry for more than 30 years, working with virtually all the international brands. We control all our production processes exhaustively, from initial part design through to mass production, which enables us to guarantee constant quality and has made us an industry first-in-class. We were founded in Barcelona more than 30 years ago with the initial aim of promoting the activities of a group of small factories dedicated to rubber moulding, metal and plastic parts. In 2015, following a change of ownership, Metalcaucho made a major investment in machinery and in implementing a Quality Department, a Product Development Laboratory and a new 14,000 m2 logistics hub. Having consolidated its position as domestic leader, Metalcaucho’s current goal is to grow internationally and to expand its range of products and brands in order to provide greater market coverage. Innovation in R&D and new product development is our ongoing commitment moving forward. This constant effort will allow us to expand our already extensive range of products and reach even more market niches and segments. 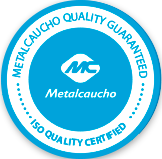 Metalcaucho is a cut above other companies thanks mainly to our employees, a highly qualified team that is totally committed to our company’s values and attitudes. Their expertise and knowledge are key in the purchasing and manufacture of our wide range of products. Our headquarters and main logistics facilities are located in Barcelona, Spain; close to the port area. We also have facilities all over the world that provide us with optimal production capacity, as well as flexibility and rapid availability in terms of deliveries at home and abroad. 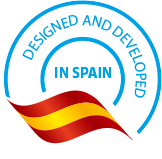 Our solutions, designed and developed in Spain, have enabled us to grow and expand into an increasingly greater number of international markets in which Metalcaucho is acknowledged as a quality and trusted brand. Thanks to this effort, we are currently distributing our products to over 50 countries.